Euzhan Palcy was the first women of colour to director a studio movie (A Dry White Season, 1989), a groundbreaking body of directorial work becoming a trailblazer for female filmmakers. August 2018 marked the 35th anniversary of Euzhan Palcy’s Sugar Cane Alley. It was awarded the Silver Lion for Best First Film at the 40th Venice Film Festival. This debut earned lead actress Darling Légitimus Volpi Cup for Best Actress – both were first time achievements for both a black director and actor at the prestigious festival. 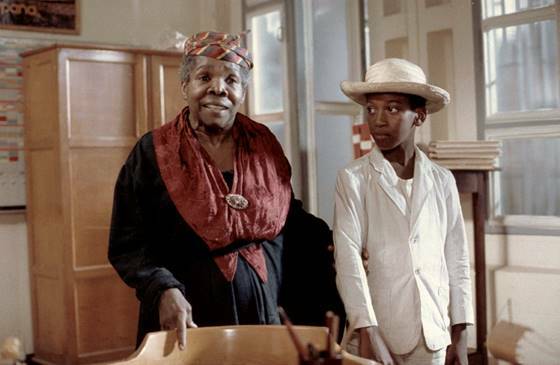 The film that has undeniably put Martinique on the world cinema map, launching Palcy as an influential filmmaker, has now been given a 4K digital restoration by Éclair and will premiere at the 62nd BFI London Film Festival, in LOndon as part of the Treasures Strand. The restored Sugar Cane Alley will screen on Friday October 19 at the BFI in an event attended by Palcy, 60, and Joseph Zobel’s daughter Jenny Zobel. The film went on to, win 17 awards internationally. The ground breaking Euzhan Palcy continues to inspire modern black female filmmakers such as Amma Asante, Ava DuVernay and Dee Rees, the latter recalling as a child watching Sugar Cane Alley over and over again with her mother. In 2011, the Cannes Film Festival honoured Euzhan Palcy by inducting Sugar Cane Alley in the Cannes Classics and mostly recently Sugar Cane Alley was chosen to open the Le Cinémathèque Québécoise’s Women, “Women: 100 Female Directors, 100 Films” retrospective series.